Cotic bikes are available with new Gold Eagle build option. Yes, we have finally got a deal with SRAM and we are offering both Eagle GX and Pike/Lyrics on the bikes from now on. 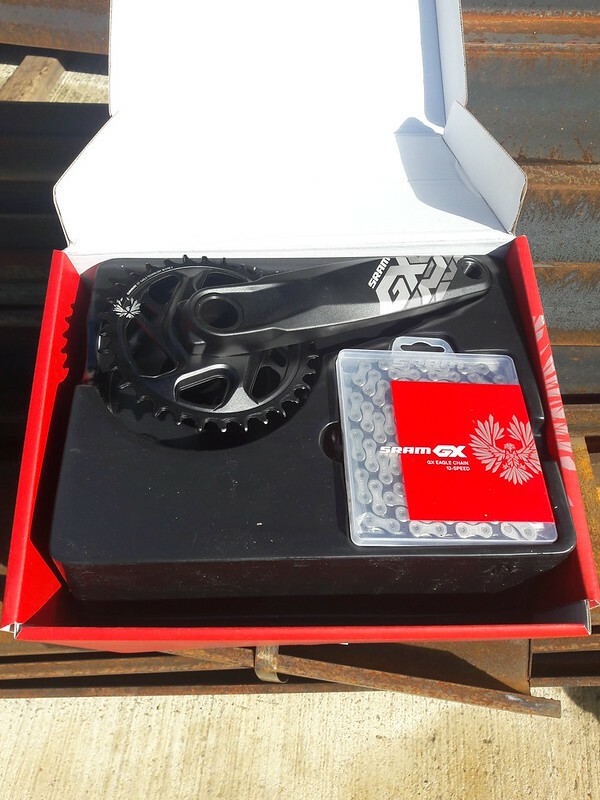 It's the full SRAM Eagle GX 12 speed drivetrain, including the cranks and X-Sync2 chainring. 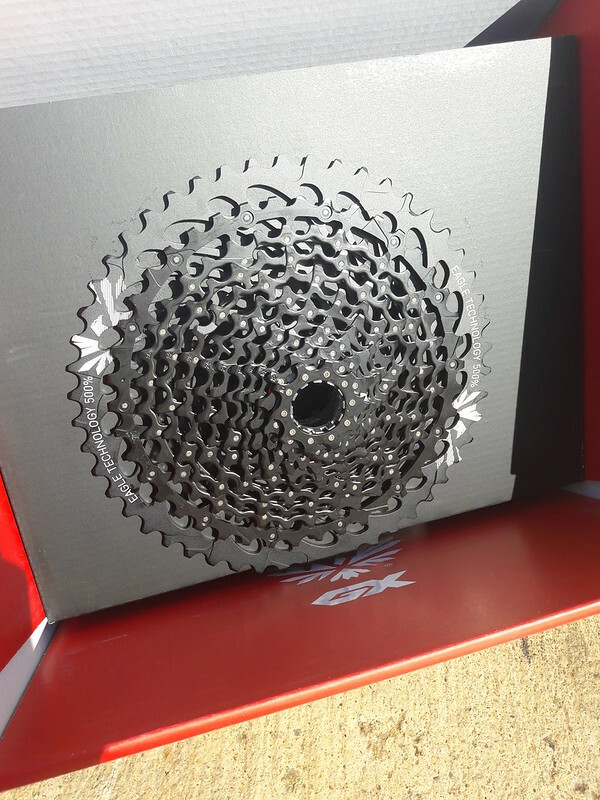 And here's the item everyone is talking about; that 10-50 cassette. We're big fans of wider range cassettes. 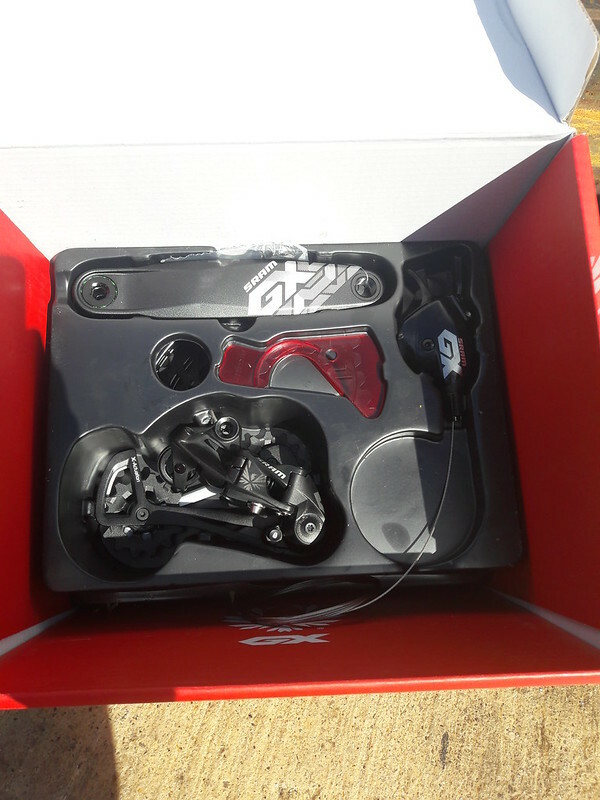 Cy and Paul have been using the One Up Components 45t on my XTR setup for a couple of years - before Shimano did their 11-46 cassette. Cy has also tried (and for a recent trip to Innerleithen, re-fitted) the One Up Shark 50t conversion for Shimano kit. He was very glad of the extra climbing range on the 5th day straight of riding up the Golfie trails! This SRAM drivetrain should refine that even further with wider range due to the 10t bottom sprocket and 12 speeds minimising gaps between gears. We are also adding a 32t chainring to the Eagle GX drivetrain. Usually we spec 30t rings on our bikes to make sure there's plenty of climbing oomph, but even with the larger chainring the Gold Eagle bikes will have a slightly lower bottom gear than the Gold XT bikes with the 30/46, and a much higher top gear. Great for those smoother trails and road linking section. WTB Vigilante 29x2.3 TCS Light Fast Rolling, Breakout 29x2.3 TCS Tough Fast Rolling. Set up tubeless. The Gold Eagle bike is just £50 more than the regular Gold build bike based around the Deore XT drivetrain. There are all the usual Plus wheel options for MAX bikes, and Hope brakes, Pike, Lyric, Fox, Cane Creek (27.5" only) fork or shock options and plenty more besides when you click the Go Custom button on your bike order. You can order your Gold Eagle bike, or any Cotic bike, over on the Order Page of the website.